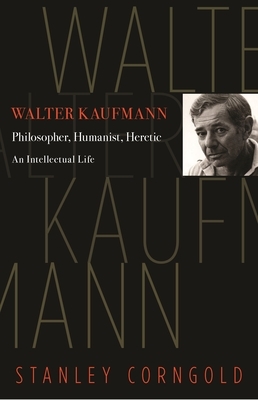 Walter Kaufmann (1921-1980) was a charismatic philosopher, critic, translator, and poet who fled Nazi Germany at the age of eighteen, emigrating alone to the United States. He was astonishingly prolific until his untimely death at age fifty-nine, writing some dozen major books, all marked by breathtaking erudition and a provocative essayistic style. He single-handedly rehabilitated Nietzsche's reputation after World War II and was enormously influential in introducing postwar American readers to existentialism. Until now, no book has examined his intellectual legacy. Stanley Corngold provides the first in-depth study of Kaufmann's thought, covering all his major works. He shows how Kaufmann speaks to many issues that concern us today, such as the good of philosophy, the effects of religion, the persistence of tragedy, and the crisis of the humanities in an age of technology. Few scholars in modern times can match Kaufmann's range of interests, from philosophy and literature to intellectual history and comparative religion, from psychology and photography to art and architecture. Corngold provides a heartfelt portrait of a man who, to an extraordinary extent, transfigured his personal experience in the pages of his books. This original study, both appreciative and critical, is the definitive intellectual life of one of the twentieth century's most engaging yet neglected thinkers. It will introduce Kaufmann to a new generation of readers and serves as a fitting tribute to a scholar's incomparable libido sciendi, or lust for knowledge.